Religions have spent millennia developing and honing toolkits for extracting meaning, morality, wisdom, and inspiration from a central sacred text. What new possibilities might there be for these ancient toolkits today—especially for the increasing population of people who have no connection to a sacred text? 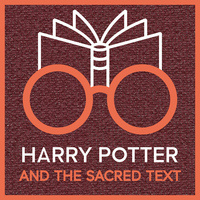 One winsome answer to this question comes from the widely-popular podcast: Harry Potter and the Sacred Text.